No two cases are exactly like. Indeed, litigation results in North Carolina vary because, how people are injured, and how their bodies react the trauma, are unique. The physics are too complicated, both good and bad, to assume that the same amount of force in a wreck is applied in exactly the same way, to exactly every person. 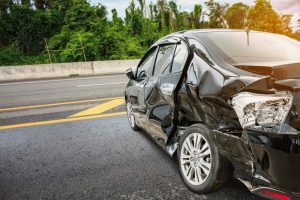 While certain aspects of personal injury claims may be similar to one-another, it’s important for your attorney to carefully consider the specific factual scenario associated with your accident, what caused the wreck, and the resulting damages unique to you and your case. One role of the litigator is to win the resources to overcome or compensate for the harm their client has suffered. 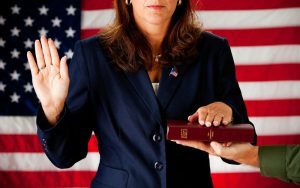 Initially, a litigator must achieve success through jury verdicts, hearings, and arbitration, but as their reputation grows, so do the opportunities for pre-verdict settlement. These are often in the client’s best interest because they preclude further delay, and are an assured result. But here’s the catch, before an attorney can secure pre-verdict settlements that are reasonable, they must achieve success through litigation. My litigation results are set forth below. DISCLAIMER: So as not to create unjustified expectations, such as the expectation that I can obtain the same results in every case, Rule 7.1 of the North Carolina Rules of Professional Responsibility requires that I include this disclaimer stating that I cannot. Note: Prior to and during the mediation conference, our settlement demand was $25,000. We never moved off that number. The Nationwide adjuster who attended the mediation actually laughed at my demand, pointing out that my client’s medical expenses were only $572. Needless to say, the case did not resolve at mediation. The same adjuster called back on the Friday before the case was scheduled to begin on Monday and offered $24,000, which we declined. On Monday, prior to jury selection, Nationwide paid our original demand of $25,000 (or 43.7 times the medical bills). This is another clear example of the difference between representation by an attorney who has the ability and willingness to try a case versus the majority of so called “personal injury lawyers” who cannot and/or will not try cases. Note: An impaired CPA from Raleigh (who later pled guilty to DWI) t-boned my man who was riding a moped into Beaufort. We had two eye-witnesses both of whom stated in their affidavits that my man was riding his moped 30/35 m.p.h., straight as an arrow, all lights working. We deposed the three police officers involved in the case all of whom gave favorable testimony for the plaintiff. Easy case, right? Wrong! My man’s blood work at the hospital revealed a BAC (blood alcohol content) of 0.147 (nearly double the legal limit). After the case failed to settle at mediation, the defense lawyer scheduled depositions for the triage nurse (odor of alcohol), ER physician (admitted plaintiff to “allow him to sober up”), and the hospital’s lab director (to establish a foundation for admission of the 0.147 BAC). All that information would then establish the basis for the opinions of Dr. Paul Glover, the defense’s expert witness in the field of forensic alcohol toxicology. Dr. Glover was prepared to testify regarding his performance of a “retrograde extrapolation of alcohol concentration,” and specifically, that plaintiff’s BAC, at the time of the collision, was 0.138. I thought the plaintiff was smart to call it a day when the carrier came to $75,000, given that a jury trial could have easily resulted in a defense verdict based on plaintiff’s contributory negligence, meaning no recovery for the plaintiff. Frankly, I was surprised that the carrier paid as much as it did in a case where the plaintiff was legally intoxicated and denied drinking anything on the day of the accident. Note: We obtained a $3.2 million default judgment against one defendant which we recorded in Florida; however, the corporation is now defunct and its insurance lapsed several weeks before the incident. We proceeded with the case against Spraylat and Hatteras Yachts. At the second mediation, which included two trips to the U.S. by defense counsel from England, the products liability case was resolved pursuant to a confidential settlement agreement. As part of the settlement, the underlying Longshore and Harbor Workers' compensation Act (LHWCA) claim was also resolved. Note: Speed competition case that tragically resulted in plaintiff’s quadriplegia; suit filed immediately in order to conduct “scorched earth” search for insurance and assets; case was defended by five defense firms and ultimately settled for policy limits paid on four different insurance policies. Plaintiff’s eligibility for asset-sensitive, disability-related government benefits (SSI and Medicaid) was also preserved through a Special Needs Trust that we established. Note: We also obtained a fully favorable decision in plaintiff’s SS Disability case and resolved the WC case in such a way that plaintiff’s Medicare benefits were preserved. What happens to my job if I file an injury claim? Note: a unanimous decision in a three member arbitration hearing means that State Farm’s own arbitrator joined in the decision, placing the valuation of the case at $20,000 above State Farm. Note: Shoulder injury case which insurance companies don’t like and usually defend based on mechanism of injury, arguing that the physical forces involved in a car wreck cannot cause rotator cuff tears, etc. Note: Allowing for Social Security offset, LTD carrier paid nearly 100% of present value of claim. Highest pre-suit offer: N/A – claim denied. Highest pre-suit offer: N/A – claim denied based on proximate causation issues. Highest pre-suit offer: see note below. Note: Insurance companies do not like motorcycles. Even Progressive, the carrier in this case, who advertises 24/7 about how they love motorcycles! Client was riding a 92 Harley Davidson. We filed suit because the insurance company refused to fully compensate my client for his property damage which included heavy duty work pants, flannel shirt, Harley Davidson motor gloves, heavy leather jacket and covered helmet, etc. Call now for more information about Motorcycle Accidents, Semi Truck Accidents, and Car Accident Lawyers Greenville, North Carolina. Note: This case which included the death of a popular high school defendant driver was settled after extensive discovery, including accident reconstruction that was filmed in slow speed at the scene by Dr. Thomas Manning & company out of Raleigh. Reconstructionists are employed to conduct in-depth collision analysis and reconstruction to identify the collision causation and contributing factors in different types of collisions, including the role of the drivers, vehicles, roadway and the environment. Very expensive stuff, but necessary in some cases. Note: Insurance company/lawyer argued that client’s shoulder condition was due to her age and degeneration, not the car wreck. In support of this theory, they hired the former orthopedic surgeon for the NY Giants and the Duke Department of Athletics as an expert witness. The case turned when we obtained favorable admissions from the expert, one of the leading shoulder experts in the country, during his deposition with the camera rolling. State Farm, being State Farm, however, refused to increase its offer – even after its own expert provided causation testimony in favor of plaintiff. Following the trial, we also obtained a fully favorable decision for the plaintiff in her SS Disability case. Highest pre-suit offer: N/A – claimed denied. Note: Claim denied because plaintiff turned left in front of defendant’s oncoming vehicle on Hwy. 24. Client was adamant that he looked and there was no car coming. The case turned when we secured photographs of defendant’s vehicle, which was hauled (not towed) from the scene in multiple pieces. The photograph of defendant’s dashboard showed the speedometer of his modified Chevrolet Cobalt Super Sport stuck at 137 m.p.h. That’s 600 feet (or two football fields) every 3 seconds. Great example of a good outcome because we believed in our client, who was right all along: the defendant’s car was not there when he looked, it hadn’t gotten there yet! Note: Plaintiff was riding a motorcycle. I take particular pride in this case in that my client’s motorcycle rear-ended another car, a case that is almost impossible to win. Almost. Call now to talk to our NC personal injury lawyers. Note: Plaintiff was riding a moped, another category of the many things that insurance companies don’t like. They don’t like mopeds. Note: Case involved chiropractic treatment only. Note: Tough case in that product at issue had a “clean” record, meaning that it had not been involved in litigation before. Note: Unusually large settlement for non-surgical back case. Note: State Farm denied the claim based on policy exclusion and refused to provide a defense for its insured. It later hired counsel and got involved in the case the week before trial. It went from denying the claim to paying the amount stated based on fear of bad faith litigation due to its unreasonable refusal to defend its insured. Note: Case was tried on the issue of personal injury damages only. Note: Case was tried on issues of defendant’s negligence, plaintiff’s contributory negligence, proximate causation of injuries. Hon. John E. Nobles, Jr. Note: Case involved an ER visit, followed by 7 chiropractic treatments. Insurance companies usually argue there is too much treatment. Here, they argued that there was not enough treatment! Note: Here’s another dirty little secret about insurance companies: they don’t like to pay policy limits, even though premiums have been paid for the coverage and the value of the claim exceeds the coverage. Here, our client had $100,000 in underinsurance motorist (UIM) coverage, so there was only $14,000 in coverage to go after above the $86,000 offer. I was pleased that our client, based on principle, allowed us to try the case and force Nationwide to pay its policy limits. Note: Complex occupational disease case involving heavy metals and liver disease/transplant. Defended by 5 different law firms from across North Carolina. Case settled on Friday afternoon before peremptorily set trial was scheduled to start Monday. We were packing for the trip when the case resolved. The file boxes literally filled up the back of a Chevrolet Suburban. Note: Case was tried on issues of proximate causation of injuries, and personal injury damages. Note: Negligence was denied initially, but admitted on the eve of trial, leaving proximate causation of injuries and personal injury damages as the two issues for trial. If you have questions about contributory negligence in NC accident cases, call now for a free case evaluation. Note: Following the trial, we referred the case to Sanford Thompson, Esq. for consideration of bad faith action directly against Zurich. Highest offer prior to trial: N/A – we filed suit early on to start discovery. Note: Defendant jack-knifed transfer truck left of center which resulted in significant collision with client’s oncoming pick-up truck, which went airborne before landing nose down in a ditch 78 feet beyond impact. Unusually large settlement in a non-surgical back injury case with medical bills of “only” $26,530. However, plaintiff was restricted in performing his usual occupation and incurred a substantial loss of income as a result. Insurance companies do not like to pay large loss of income claims, so that’s where the fight was. Hon. W. Allen Cobb, Jr. Note: Tough case as there was no visible damage to the plaintiff’s car. Note: Negligence was admitted; case was tried on issues of gross negligence, proximate causation of injuries, personal injury damages, and punitive damages. Hon. Russell J. Lanier, Jr. Note: Case was tried on issues of defendant’s negligence, defendant’s gross negligence, plaintiff’s contributory negligence, proximate causation of injuries, personal injury damages, and punitive damages. 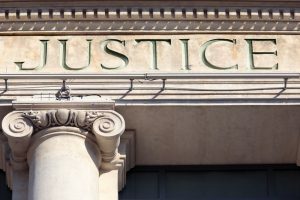 Note: Negligence was admitted by virtue of defendant’s failure to file an answer to the complaint; non-jury trial on issue of damages only; opposing party was not represented by defense counsel; unfortunately, defendant had cancelled his homeowner’s insurance several months prior to the attack; therefore, judgment has not been paid. Note: Case was tried on the issues of the defendant’s negligence, plaintiff’s contributory negligence, and the defendant’s last clear chance to avoid the accident; before trial, Nationwide agreed to pay policy limits if we won on the issue of liability, which we did by prevailing on the last clear chance issue. Highest pre-suit offer: N/A – we had to file suit because homeowner would not disclose his insurance information. Note: Plaintiff was walking from her boat to the marina store at Sea Gate Marina; defendant’s Pit Bull, Bruno, lunged from behind the railing and struck the plaintiff in a violent manner causing her to fall to the marina deck and suffer multiple injuries. Note: Everything was denied; case was tried on issues of defendant’s negligence, plaintiff’s contributory negligence, proximate causation of injuries, property damages, and personal injury damages; jury found that plaintiff and defendant were both negligent; therefore, in North Carolina, due to our contributory negligence law, plaintiff recovered nothing. That is, we lost. Note: Negligence was admitted; case was tried on issues of proximate causation of injuries, and personal injury damages. Note: Case involved a single-car accident tried on the issues of the identity of the driver, defendant’s negligence, plaintiff’s contributory negligence, defendant’s gross negligence (as defense to plaintiff’s contributory negligence), plaintiff’s gross contributory negligence (as defense to defendant’s gross negligence), defendant’s last clear chance to avoid the accident, and damages under NC’s wrongful death statute. Note: The trouble with assault cases is that there is no insurance which provides coverage for assault. Note: Claim against Onslow Memorial Hospital and treating ICU nurse was settled for $100,000. Suit against treating cardiologist, Dr. Andre Tse, resulted in defense verdict after two week trial. Note: One of the first successful falling merchandise cases made against Wal-Mart in North Carolina. Note: Complex death benefits case involving controversy among survivors which included wife, stepchildren, and children born out of wedlock. Note: Single car accident tried on the issues of defendant’s negligence, plaintiff’s contributory negligence, defendant’s gross negligence (as defense to plaintiff’s contributory negligence), plaintiff’s gross contributory negligence (as defense to defendant’s gross negligence), defendant’s last clear chance to avoid the accident, and damages. Final judgment obtained: $25,000 settlement (at close of plaintiff’s case). Hon. W. Russell Duke, Jr. Note: Because the final judgment was less than the highest offer prior to trial, this case had to be considered a loss. Note: Tough case involving relatively low speed impact, resulting in TMJ surgery. Insurance companies don’t like TMJ cases, don’t believe such injuries can be caused by a car wreck. We hired an occupant kinematics expert with a degree in biomedical engineering out of Birmingham, Alabama to explain the injury mechanism to the jury. During four days of trial, we received 8 increasing offers of settlement. It was a valuable lesson to me early on in what can happen if you are willing to go to the mat. Note: Case was tried on the issues of defendant’s negligence, proximate causation, and personal injury damages. Note: Insurance company agreed to pay $25,000 policy limits on third day of trial, immediately prior to closing arguments. Note: See Vann case reported below. Note: After $50,000 Poy verdict, State Farm refused to increase its previous offer of $6,000 in this companion case (i.e., Vann was standing beside Poy when struck by State Farm vehicle). Jury returned the same verdict in the Vann case as a jury did in the Poy case. They do not come any more stubborn than State Farm. 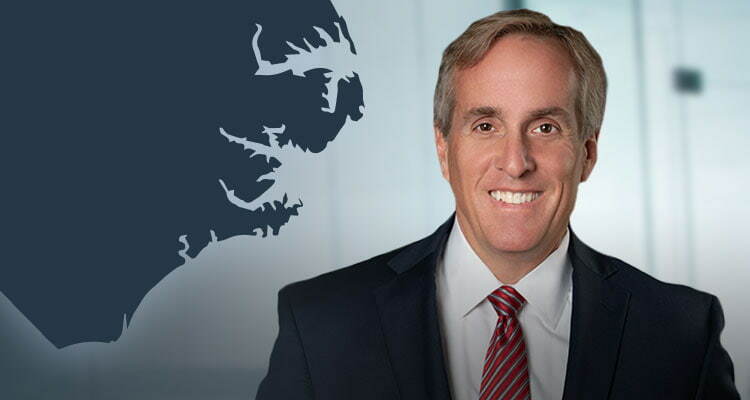 Final judgment obtained: We defended Brien Taylor of the New York Yankees in a civil assault action arising from the altercation that ultimately ended his once promising career. At the pre-trial conference on the Friday before jury selection was scheduled to begin Monday, plaintiff reduced his demand from $2.5 million, to $2,500, and the case was therefore settled.